As 2018 comes to a close, we look back at the incredible year AWD has had. In the spring, AWD debuted a new website including the FIND A DIRECTOR search engine where anyone can perform a search based on the type of project they are producing (genre, budget, DGA, etc) and find AWD members that match their needs. We also launched the AWD Industry Support Program and In-House Shadowing Program which provide professional and peer-to-peer career support for the participants. Our new Art of Directing program, led by Chairperson and Founder Jennifer Warren, is designed to assist emerging directors transition from short form content to feature films. 2018 was also a banner year for partnerships with like-minded organizations. AWD partnered with NBC to launch a Craft Enrichment Series, a set of master classes for emerging female episodic directors. Guest speakers included AWD honorary members Lesli Linka Glatter and Bethany Rooney, past DGA President Paris Barclay, and more. Our new monthly Works in Progress Program, sponsored by Canon, gives members an opportunity to workshop their films in a supportive environment. The program has been so successful, it will branch out to bi-monthly meetings next year, with FotoKem coming on as a co-sponsor. We joined forces with the LA producer of the radio storytelling show, The Moth, for the first-ever Female Shoot ‘Em Up, showing the evolution of six true stories into screenplays and short films, with each phase exclusively featuring AWD members. And in collaboration with CBS, AWD presented panels geared toward the business side of directing, including how to obtain representation, and what goes into getting hired for episodic television. Our AWD family also grew in 2018. We now have over 350 members and are currently interviewing candidates for our first ever Executive Director. 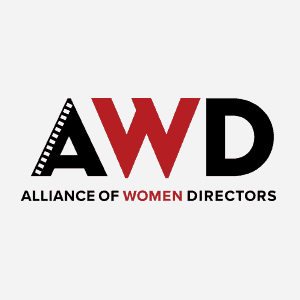 Additionally, AWD is thrilled to have the following new Advisory Board members join our family this year: Jonathan Frank (Executive Vice President, FX Current Series and FX Productions), Karen Horne (Senior Vice President, Programming Talent Development and Inclusion for NBC Entertainment and Universal Television Studios), and Wendy Mericle (Television writer/producer). We are incredibly grateful for all our members and supporters. We are stronger together and with your help, we will change the industry.